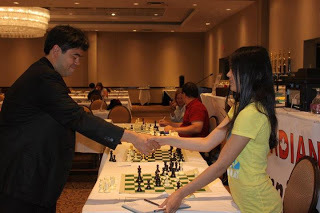 Canadian chess talent Ashley spent the summer raising funds for her participation in the Slovenia World Youth Chess Championship 2012. You can read all about her at this earlier Chess Blog post. Here is a nice thank-you chess video Ashley has prepared. Ashley in a Nakamura simul.